Phineas Fletcher and Ferb Flynn spend every day of their summer vacation doing awesome projects –things like building a private beach or roller coasters, entering singing competitions or thumb-wrestling, reviving cavemen, and others. Their pet is a secret agent for the OWCA. Would you like to become one of them? 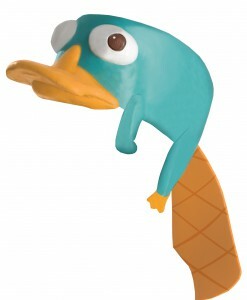 Find out what Phineas and Ferb are doing with one of our fabulous Phineas and Ferb costume ideas. Ever since the festival of Halloween gained popularity round the world, Halloween enthusiasts got their creative minds running wild to think out some fresh ideas to infuse in their Halloween costumes and Fineas and Ferb became common for every Halloween party. 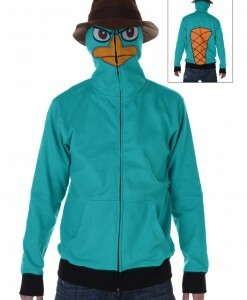 Phineas and Ferb agent P hoodies, adult Parket the platypus costumes, kids Phineas and Ferb Perry face costume T-shirts, and others are perfect not only for Halloween, but also for birthdays, anniversaries, and different costume parties. 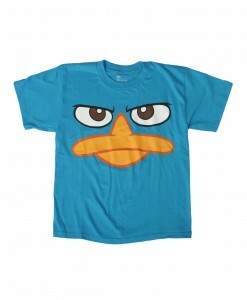 And if you do not need the whole Phineas and Ferb costume, then go for one of our Phineas and Ferb Perry face T-shirts that can be perfectly topped off with one of our Perry the platypus headpieces. 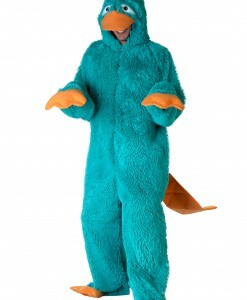 Phineas, Ferb, or Perry – no matter what character you are going to be like, as long as we have stocked all Phineas and Ferb Halloween costumes for any need and age. These Phineas and Ferb costume ideas and accessories offer a great opportunity to team up with your family members and close friends for some very special Halloween photos. 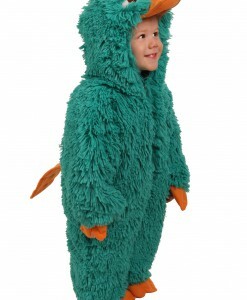 With such a selection of Phineas and Ferb Halloween costume ideas, it is difficult to pick up just one. We have all your Phineas and Ferb costume and accessory needs covered with free delivery anywhere in the USA, Canada, and the UK. Buy also other Disney Costumes: Cinderella Costumes and Frozen Costumes for Halloween or any other party in your life.